Currently touring the United States and Canada, Melbourne rock-folk band, The Paper Kites popularity has soared since 2010 when the band was first formed. Members Sam Bentley and Christina Lacy began writing songs and playing in high school, in fact all five band members were close school friends. Bentley and Lacy expanded the band later in 2010 to include Sam Rasmussen, David Powys and Josh Bentley. The band gained attention by playing in their hometown of Melbourne as well as selling their EPs, which were recorded by Bentley and Rasmussen at their home and university respectively. Their first single "Bloom" was released online and grew steadily in popularity through word of mouth. Through the public's appreciation of this single, more and more people started attended their concerts. This exposure led them to play in the wider Australia and New Zealand including first opening slots for bands Hungry Kids of Hungary and Passenger. Released in 2011 was their first official single "Feathersonte", which was once again received well online. Also, in 2011, with the help of Tim Johnson, who was one of Rasmussen's university teachers, the band released the Woodland EP along with videos for both EP and single. Videos play a big part in their music as they are further extensions of the songs. After this, the band picked up a booking agent Stephen Wade, who is the founder of Select Music. Wade introduced them to managers Gregg Donovan and Stuart MacQueen and later signed them to Wonderlick Entertainment. Soon after this, the band were invited to tour with Josh Pyke on his Only Sparrows national tour in September 2011. 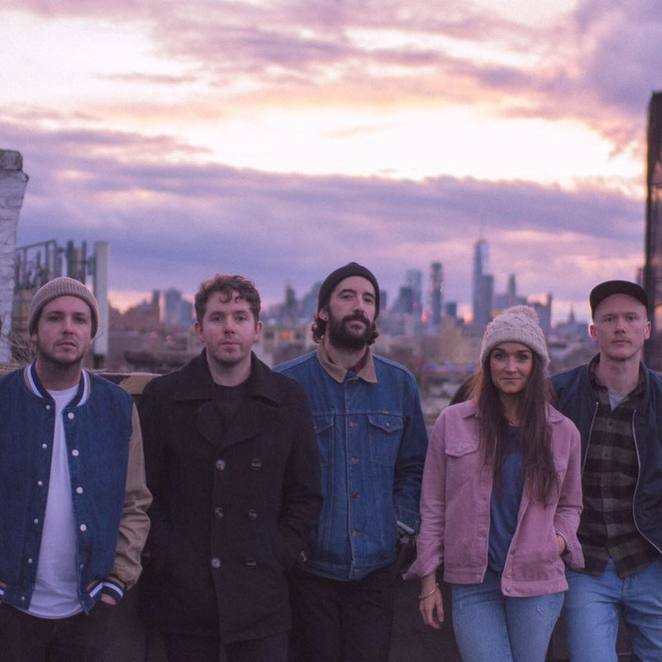 In the same year, The Paper Kites opened on Boy & Bear's 16-date national tour of Moonfire. Although the band has released several singles with success their first full-length debut album titled States" was released in 2013 followed by twelvefour in August 2015. On the Train Ride Home was released in April 2018 and a follow-up album brought to us by Sony Music, On the Corner Where You Live, is soon to be released on 21 September 2018. The original sound of the band was loosely based around folk music, however, through many musical inspirations, experience and knowledge they now push a range of different genres. Their unique harmonies have produced a style of their own, which is complemented by their growing number of followers and fans. Not wanting to be labelled to a distinct genre, Bentley has stated that their style of music is "whatever we released on the last record". Their music is easy listening, played with a variety of instruments of which can change throughout their performances. The blend of vocals allows the listener to sit back in an almost wave-like flow from the tunes created. The music written has a calming effect on the soul as if one is in unison with the vibration of the notes generated. On the Corner Where You Live is another amazing album from The Paper Kites, one which is sure to capture interest from all age groups worldwide. Why not pre-order your album now on their website or at your favourite retailer, so you do not miss out on this sure to be a fast-selling album.